CDK Global CEO Steve Anenen predicted that earnings at the dealership software giant would jump in its 2016 fiscal year. On the strength of cost-cutting and better bundling of software products, CDK Global expects adjusted earnings to rise at least 25 percent in 2016 on revenue growth of 4 to 5 percent, Anenen told analysts during a year-end earnings call today. The publicly traded company, formerly known as ADP Dealer Services, was spun off from Automated Data Processing Inc. in October. 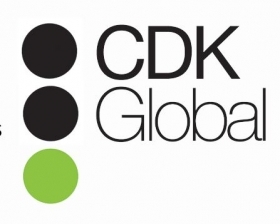 For fiscal 2015, ended June 30, CDK Global on a GAAP basis posted net income of $178.4 million, or $1.10 per share, compared with fiscal 2014 net income of $227.9 million, or $1.42 per share. Revenue was $2.1 billion in 2015 vs. $2 billion in 2014. But adjusting for spin-off costs and other items, net income attributable to CDK climbed to $222.6 million in fiscal 2015, or $1.38 per share, the company reported. CDK Global and archrival Reynolds and Reynolds are the dominant providers of dealer management system software used by dealerships to help run their stores. Combined, their share of the DMS market is about 70 percent. CDK Global recently has come under fire from outside software vendors over a new data security program, SecurityFirst, that is raising fees for vendors to retrieve data from dealers that use CDK Global DMS. As Automotive News reported this month, SecurityFirst has the potential to raise data-access fees per store from about $475 per month to about $1,600 by next July. Vendors being hit with the increases say the additional cost for data access is far above the value of data security enhancements that CDK Global is putting in place. CDK Global says the program is crucial to protecting consumer and dealer data that is housed in its DMS. The program is similar to a vendor certification program that Reynolds has had for years. Company spokeswoman Michelle Benko in an email declined to say how much SecurityFirst is expected to contribute to CDK Global revenue and net earnings in the 2016 fiscal year. In the call with analysts, CFO Al Nietzel said cost-cutting measures and more software sales per store in 2016 would yield earnings and revenue growth that would pick up steam after December. For the full year, CDK Global is predicting adjusted earnings before income taxes to grow by at least 25 percent, Nietzel said.